We’ve all flipped a coin to make a decision or figure out who gets the first turn. 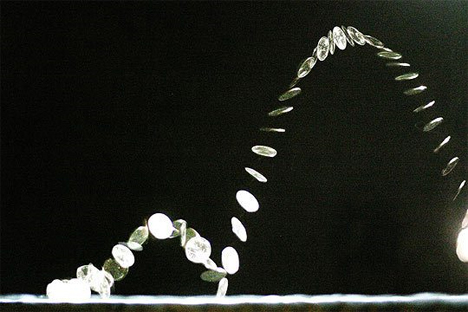 And, unless the coin was rigged in some way or the person flipping the coin is a magician, we assume that the coin has an equal chance of landing on either heads or tails. But according to a group of Stanford researchers who presumably have a whole lot of time on their hands, the revered coin flip isn’t all that neutral. In fact, it’s downright biased. Even if the coin in question is perfectly manufactured, perfectly clean and free of all factors that might influence the flip, the potential results of a coin toss are about 51-49, not 50-50 as most of us believe. 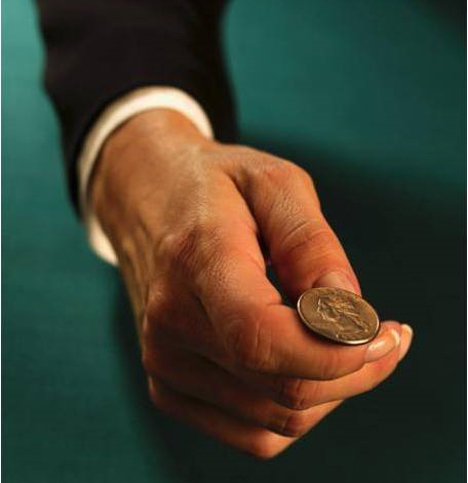 The research states that it’s possible to predict the outcome of a coin toss based on which side is face-up before the flip – though there are still a few ways to introduce a bit of randomness into the mix. Check out the research project for a detailed and sciencey explanation, or read this slightly easier-to-understand explanation from Coding the Wheel. See more in Weird Science or under Science. September, 2009.